Spirit Airlines was wonderful on time clean and reasonably price. Would definitely use them again! Seats aren't the most comfortable but certainly adequate for the duration of my flight. I will absolutely book again. 21% of Spirit Airlines passengers were over 60. The top travel destinations for Spirit Airlines passengers were Atlanta, Fort Lauderdale, Las Vegas. The most popular airport for Spirit Airlines was Fort Lauderdale-Hollywood International Airport. Spirit Airlines is all set to launch three daily flights between Burbank and Las Vegas June 2019 onwards. For Spirit Airlines, Burbank has become its second airport destination in the Los Angeles Basin. John Kirby, Spirit’s Executive Vice President of Network Planning, told that if flights from Burbank to Las Vegas do well, the airline will launch many more flight destinations from Burbank. Spirit Airlines to start daily, year-round direct flight service from Philadelphia to San Juan from 23rd May 2019! Spirit Airlines is all set to add daily, year-round direct flight from Philadelphia to San Juan commencing 23 May 2019. The airline is the third air carrier to offer flights to Puerto Rico from Philadelphia. Spirit Airlines has scheduled to commence this flight service three weeks after it is set to commence seasonal flights to New Orleans. In December, Spirit has also added seasonal direct service from Philadelphia to Tampa and Fort Meyers. Spirit Airlines has added new nonstop flights between Orlando and Jamaica for the spring break. The airline has started offering the additional flights from Orlando to Montego Bay and Kingston. It will fly to Montego Bay four times a week and to Kingston three times a week. Spirit Airlines has announced the launch of daily flights from Charlotte to 4 destinations commencing 20 June 2019! Spirit Airlines, in its recent announcement, has stated the start of daily flights from Charlotte to four destinations including Fort Lauderdale, Orlando, Baltimore, and Newark. This flight service will commence 20 June 2019 onwards. The airline will be using Airbus A319s and A320s on the routes, offering a single daily flight to every destination. Spirit Airlines is all set to start flights between Sacramento and Las Vegas commencing June 2019. Sacramento will be the 75th airport for the airline it flies into and Spirit will be the 13th airline operating out of Sacramento International Airport. Founded in the year 1983, Spirit Airlines is an ultra-low-cost carrier, headquartered in Miramar, Florida. The airline has its operating bases at Atlanta, Atlantic City, Baltimore, Chicago-O'Hare, Dallas/Fort Worth, Detroit, Fort Lauderdale, Houston-Intercontinental, Las Vegas, & Orlando. It is the 8th largest commercial airline within North America. Spirit Airlines has a fleet of approximately 119 aircraft. These comprises Airbus A319-100, Airbus A320-200, Airbus A320neo, & Airbus A321-200. 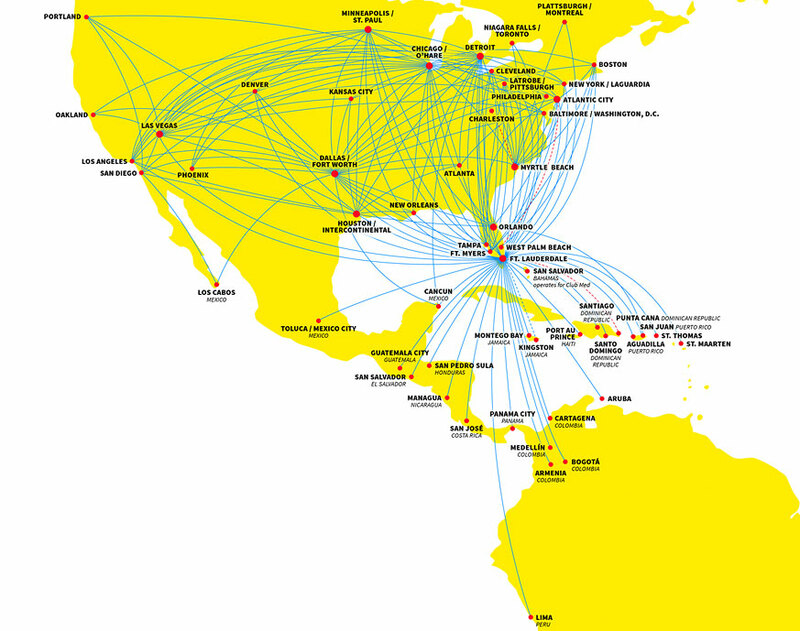 Spirit Airlines flights connect 60 destinations within USA, Latin America, and the Caribbean. The airline offers 400 daily flights to destinations such as Seattle, Oakland, San Diego, Phoenix, Hartford, Kansas City, San Juan, Managua, Medellin, Panama City and more. For all passengers, baggage allowance for 1 personal item (purse or small backpack) is included in the Spirit Airlines ticket. However, the dimension of the personal item should not exceed 18 X 14 X 8 inches (including handles & wheels). Passengers travelling with the airline need to pay for carry-on baggage. However, the dimension should not exceed 22 X 18 X 10 inches (including wheels & handles). A checked bag of not more than 40 pounds of weight & 62 linear inches can be carried by passengers by paying for the same. In case of oversized or overweight bags passengers need to pay accordingly. Spirit Airlines allow its passengers to carry their wheelchair or other mobility aids or portable dialysis machine, without any charges. For passengers travelling with special needs, special assistance services are provided by the airlines. However, passengers are advised to inform the airlines in advance for the same. Gate passes are provided by the airline for someone accompanying an unaccompanied minor or someone requiring special assistance. Passengers who wish to carry a Portable Oxygen Concentrator (POC) must remember that it must be FAA compliant. Web check-in service is available from 24 hours till one hour before flight’s scheduled departure time. Spirit Airlines Hub - Airports used as transfer points to get passengers to their intended destination.